Weight: This jacket is super light, weighing less than a half pound! 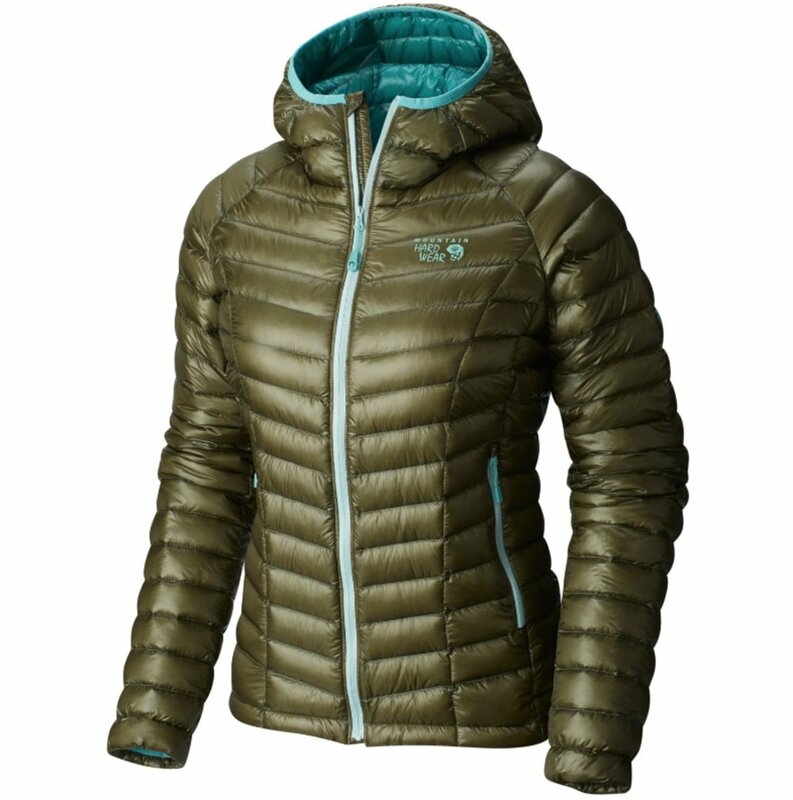 It’s a no-brainer to bring this jacket on any hiking or backpacking trip when you want some warmth. Low-Profile: The baffles aren’t super “puffy” like many down jackets, so you don’t look like a marshmallow when wearing it. Fully-featured: It has 2 hand-warmer pockets, a full front zipper, and a hood, which is great considering how light the jacket is. Many other jackets in this weight category will eliminate things like pockets to cut down on weight. Warmth: Considering how light this jacket is, it is pretty warm. You might not be wearing it alone in winter conditions, but for 3-season backpacking in milder climates, it is amazing! Colorways: This is a little thing, but I do like the vast majority of the colors Mountain Hardware releases for these jackets. Sometimes they are really weird and miss the mark, but overall, I’ve really liked the look of most of the ones I’ve seen on trail (and I’ve seen a lot of these puffies). Fragile: I haven’t ripped the fabric itself yet, but a lot of external seam stitching is coming undone, and the front zipper is a little sticky. The stitching isn’t a big deal as of right now, and I did wear it basically everyday for 5 months without any major issues, so this is a small price to pay for the amount of abuse it has gone through. If you’re looking to lighten your pack for 3-season backpacking, this puffy is a great place to start! It’s a little expensive with the hood, but honestly in the same price bracket for weight/warmth as other jackets. This jacket has been places!